No age requirements, PPA offers prescription services to patients who meet eligible income requirements. PPA serves as a single point of contact for more than 475 public and private programs and can assist you in getting your prescriptions at little or not cost. Created by Volunteers in Health Care (VIH), RxAssist helps patients by streamlining the application process for the drug manufacturers’ assistance programs with provide prescriptions for free to patients who cannot afford them. Arkansas Health Care Access Foundation, Inc. If you’d rather sit back and let the medications come to you and, oh yeah, still save money, you may benefit from taking advantage of a postal prescription service. Some prescription plans offer this benefit as both a convenience and a savings to patients. Forget having to pay a shipping and handling fee because most plans offer the service for free in an effort to remain competitive. Couple this with a savings of up to 30% off what the same amount of medication would cost you in a traditional pharmacy and the appeal of mail order medications is easy to appreciate. One such company providing this service is aptly named Postal Prescription Service (https://www.ppsrx.com/). Call them directly toll free at 1-800-552-6694 or visit their site to learn more. Want cheaper, mail order prescriptions without gimmicks, enrollment or membership fees? If you’re a resident of the Midwest or northeastern part of the US, you’re in luck! Walmart offers a 90 day supply of approximately 300 generic prescriptions for only $10 (including free shipping). To find out more, call 1-800-2REFILL (1-800-273-3455) or visit http://www.walmart.com/pharmacy. 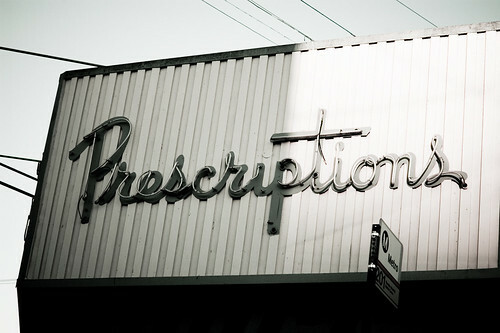 Forget having to hem and haw about whether or not you can afford your prescriptions. While money-saving prescription solutions may not be immediately apparent, savvy consumers know that where there’s a will (or a need) there’s most definitely a way. Keep the above tips and strategies in your arsenal of prescription cost solutions, and – no matter if it’s cash or a medication – you’ll never be left empty-handed again.